Full Mouth Rehabilitation | Doesn't everyone love a train wreck? Train wrecks. 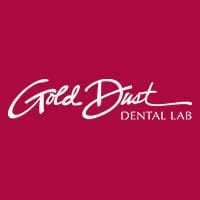 It is Gold Dust’s unofficial description of a full mouth rehabilitation case that has every element of complexity — pathology, parafunction, destruction and disease. And we LOVE them! There is nothing we do that is more rewarding than restoring function and a natural smile back to someone who lost it many years ago. See how Dr. John Nosti diagnoses, treatment plans, prepares, provisionalizes and cements 20 restorations in the first phase of this patients full mouth rehabilitation. Dr. Nosti, who also hold a dental license in Illinois, will present the latest in techniques, materials and processes to assist you in treating these difficult, multi-dimensional cases. Every participant with have “ring-side” seats to this incredible event as he shares his secrets to unraveling train wreck cases, into predictable long-lasting dentistry. Dr. Jason Olitsky joins Dr. Nosti with his expertise in the area of preparation design, aesthetic considerations and tips for a stress-free appointment! Course will be May 18, 19 and June 8,9th right on Michigan Avenue in the heart of Chicago. Check back for progress photos, videos and highlights!